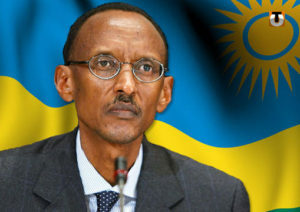 President Paul Kagame of Rwanda and current chair of the African Union has suggested that Europe’s failed policies and its suspicious engagement with Africa are the drivers of the pile of crises hitting the continent. President Kagame, who recently attended the Euro-Africa summit in Vienna, spoke to Austrian outlet Die Presse on a wide range of Africa-Europe topics, reported MoroccoWorldnews outlet. In the interview, the AU chairperson put particular stress on the need for Europe to engage with Africa on a different level than it currently does, insisting that Europe’s ongoing tough migration policy is wrongheaded because the continent’s crises have deeper causes than political leaders will admit. Until Europe reviews how it engages with and perceives the African continent, European crises, especially the waves of Europe-bound African migrants, will continue to increase, the Rwandan president told the Austrian newspaper. “It is not only a question of population size. It’s about the context in which the population grows,” Kagame said when asked whether Africa’s rapidly growing population is a factor in African youths increasing tendency toward emigration. However, According to President Kagame, “wrong investments” in Africa is not Europe’s only problem. Another European problem is its “stunning hypocrisy” in its dealings with Africa and other “third world” countries. Europe wants to shape the world in its image but hardly practices the values it proposes to the world, he said. “Europe has a migration problem because it failed to address the issue early. Instead of helping Africa, it further impoverished the continent,” he said, making it clear that he is not blaming Europe for the problem of migration, which is a shared problem. President Kagame is not alone in claiming a European responsibility for the migration crisis. In fact, such a line of reasoning is becoming an established trend in a number of European and African political circles, commented the news outlet. Many panelists and country delegates at the recent Marrakech-held Global Forum on Migration and Development, as well as at the intergovernmental conference on the Global Compact for Migration, held similar views. Highlighting Europe’s colonial past with Africa and the perceived neocolonialism prevailing in Euro-African exchanges, many observers and politicians are increasingly proposing a new Euro-Africa partnership to weather the tide of political crises hitting both continents.